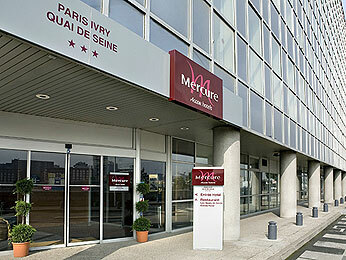 Close to the Grande Bibliothèque library, the Bercy district and AccorHotels Arena, your Mercure hotel is ideally located in eastern Paris. Enjoy access to a free private car park from the moment you arrive. Relax in the contemporary atmosphere as you stay in one of our 100% non-smoking rooms. The district is undergoing lots of redevelopment, which is part of the Grand Paris project, which will bring in new modes of public transport. Welcome to Ivry-sur-Seine.